Even though I am quite happy with my 3 Skypephone, I have been thinking of upgrading my mobile for sometime now. However, the problem is that there are so many choices and I have been having a tough time choosing one. Top on my list are the two best sellers from Nokia, the N95 and the N96, their latest offering. Both have similar features and include almost everything I want in a mobile. main camera: 5.0 Megapixels with Carl Zeiss lens and flash. I guess the only difference is that the N96 has higher internal memory and a built in TV tuner. The N96 is of course costlier, selling here in the UK at £535 (including VAT) while the N95 8gb costs £353 (with VAT). 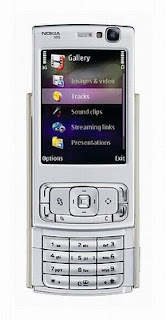 Also on my list is another new offering from Nokia, the E71. What attract me to this phone is that it comes with a full QWERTY keypad. Has a 3.2MP camera, GPS and high speed connection to the internet. It costs £330. One phone that I really like is the HTC TyTN II. Three of my friends here in Coventry are using this phone and they have nothing but praise for this PDA phone. It has a full QWERTY keyboard that slides out from under the phone. I was really impressed by the way the screen tilts up and it looks like a mini laptop. Another advantage is that it uses Windows OS. It also has GPS navigation, 2 cameras, high speed internet access and loads of other features. I am really confused but I guess my decision will depend on the best offer I can get from one of the mobile providers. 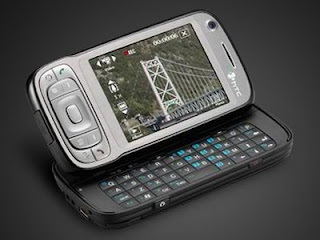 I figure that you must have chosen the HTC TYTN II instead of Nokia N95 8GB or N96. But you haven't disclose your choice. So until I see you wear one, I am gong to presume the above. BTW, for me, I choose HTC TYTN II but I haven't explore it fully yet. Since it has various supports considering it using windows as its OS, I think the exploration might be endless. BTW, do you know where to get 8GB memory card since I failed to get one due to rumors that the same has been withdrawn from market due to its fault. Can you comment or write on this? Thanks again for your nice info. Hi Thanks for your comment. I am still undecided. I am wondering whether it is worth getting the 18 months contract on 3 or just buy the phone from ebay. I tried bidding on several TyTN II phones right now but they all went way above my budget. Dude use ebay. the key is don't bid on anything until there's literally no time left. Thats your best bet to grab one of these within your budget. The earlier you bid, the higher you drive up the bids by others. Give it a try, wait until there is less than 5 minutes left. Then go bid, you'll find some sweet deals on anyone of those phones I'm sure. I'd go with the N96 simply because the N95 design looks aged in comparison. We are at the same page. 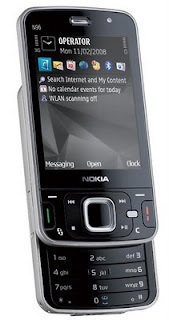 I am also considering of buying a new phone and turned between the iPhone 3G, Nokia 5800, and Samsung Omnia. I haven't decided yet though. had the option to do the new phone thing recently but had to settle for a crap 'DMR' *Different Model Replacement phone from Orange. Walked away with some comedy slide job. Skype phone has a good future in the USA because their Wifi hotspot culture is excellent. But what about the other countries? Just for a sample the Skype phone using inside my country is absolute insensate. 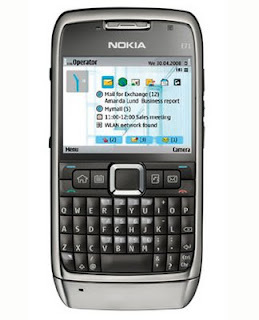 I like the look of the Nokia N96. I was considering to get the N95 but the N96 looks better and I might have to get one as a new phone when I can.